I absolutely love weaving Scandinavian style woven bands, using different styles of rigid heddles. Many people weave narrow bands by using backstrap looms, which I find to be a complete misery to work with. ugh. I love using my Norwegian cradle loom and other rigid heddle looms. 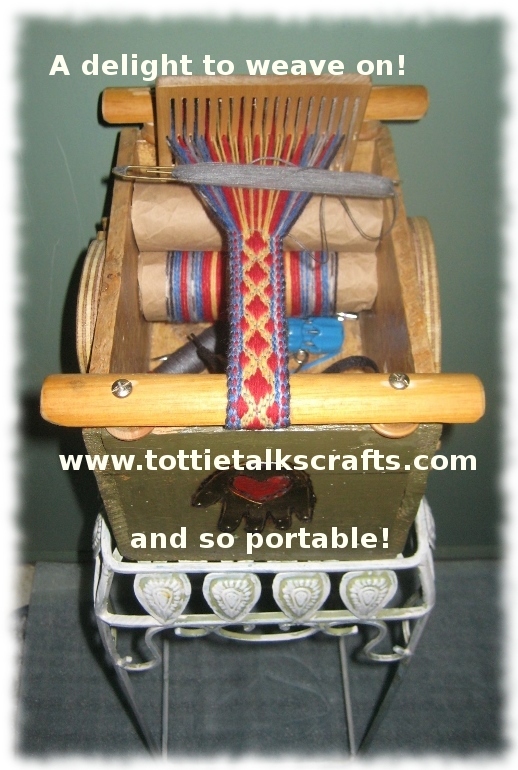 I’ve been mulling over the idea of making a smaller, more portable box loom based on the Norwegian cradle loom. 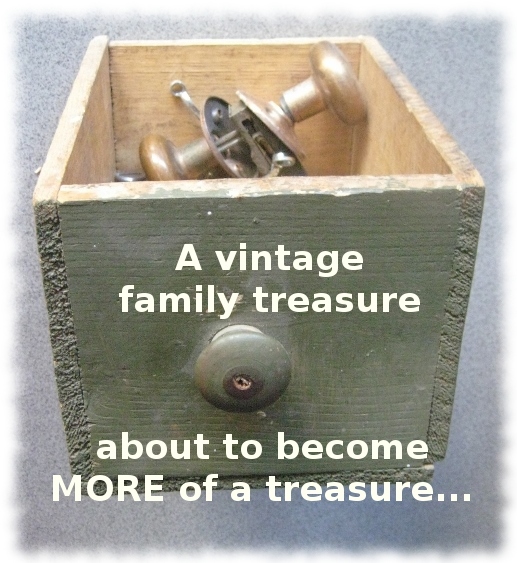 A few weeks ago, as we were cleaning and clearing in preparation for our big move, we found some sweet little drawers that my father in law had made many decades ago. 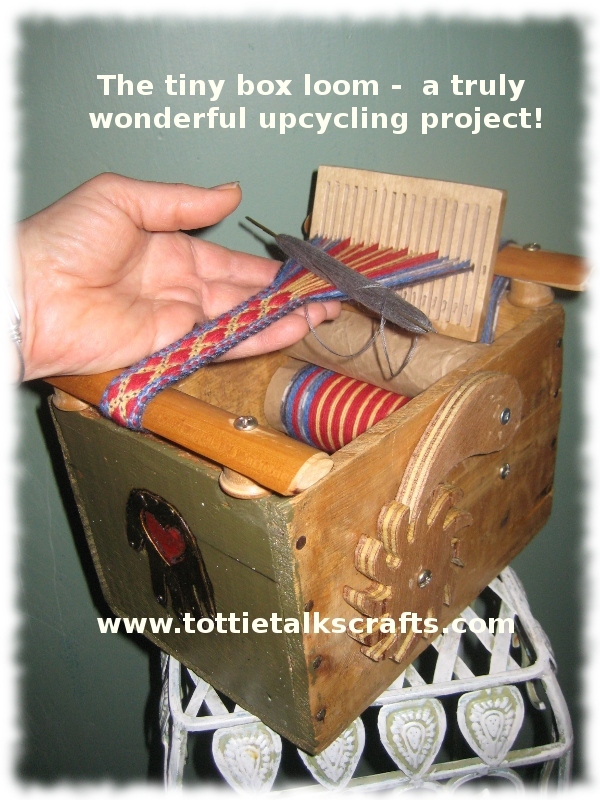 And, since then, the idea for building a tiny, oh so portable band weaving box loom has been gestating in my mind…. After much trial and error, I have built the little loom, and absolutely adore it! 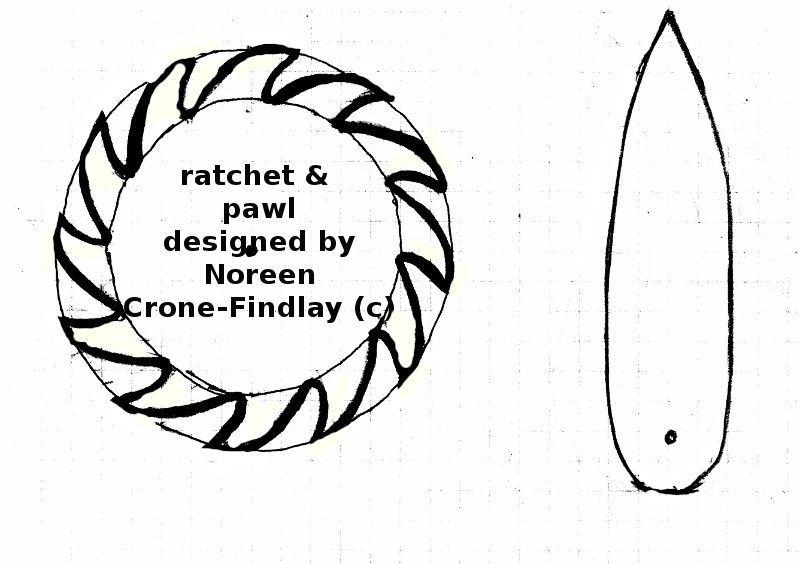 This is the ratchet and pawl that I designed for my loom. I made them from a scrap of marine plywood, which allowed me to curve the pawl. I am going to make the next one from a piece of purpleheart that we’ve been saving, so I am going to make the pawl straight, to make it stronger and not risk breaking it by cutting a curve against the grain. 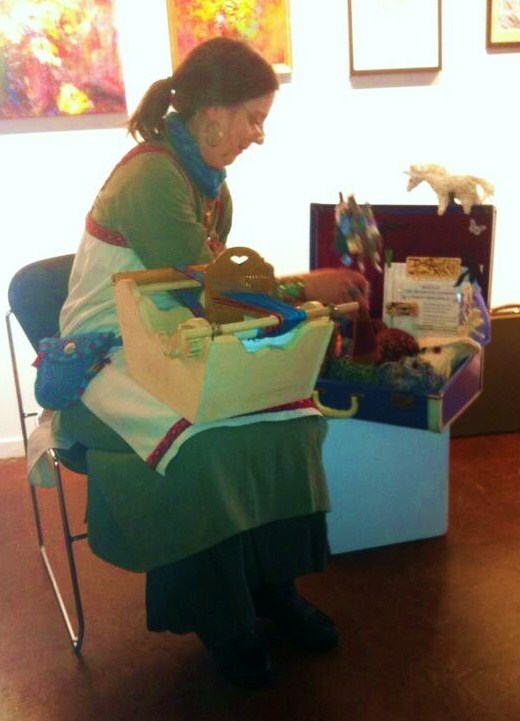 Note: I have upgraded the little box loom…. it’s even better! I will post photos of it soon.